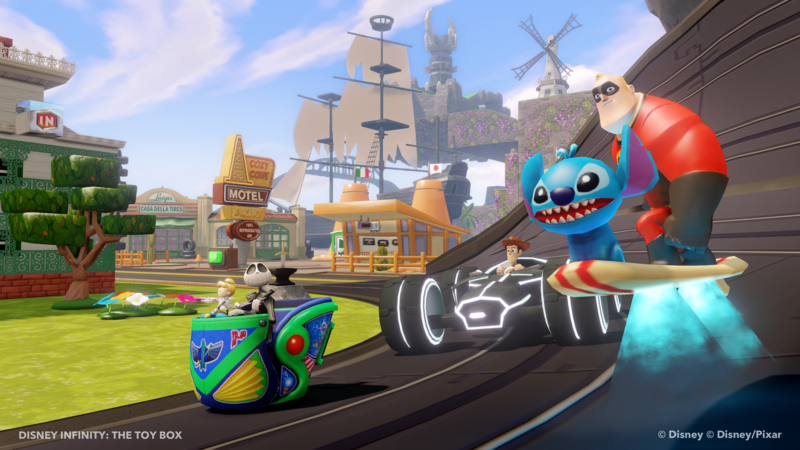 What Can You Do In Disney Infinity’s Toy Box Mode? 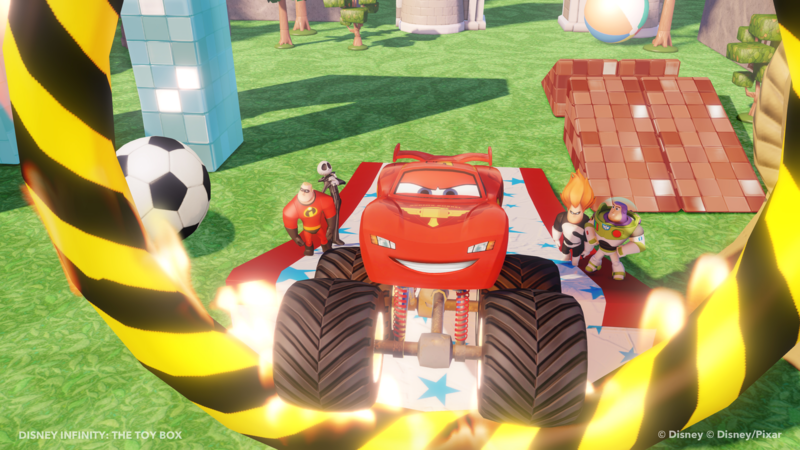 Our friends over at Disney Interactive released a bunch of screenshots and an awesome trailer video detailing the Toy Box mode in Disney Infinity. 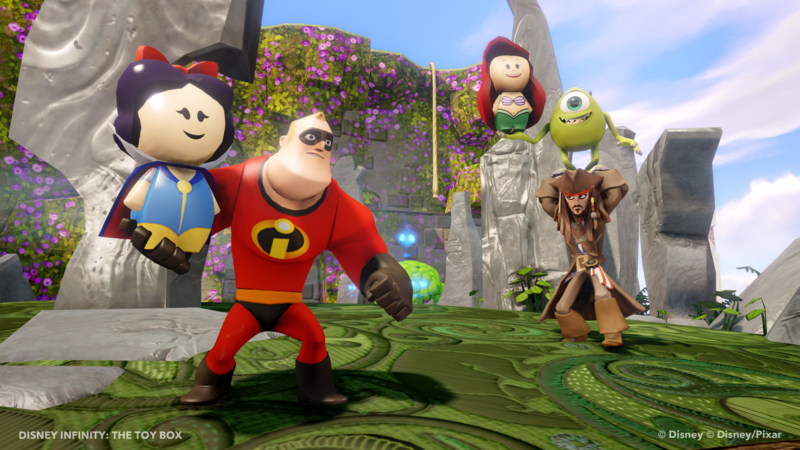 While much of the game’s main campaign will involve the Play Sets that you acquire for the game, Toy Box mode is the place where you can merge these Play Sets together to form into one massive world and allow all your favorite Disney characters to interact with each other in the game. Additionally, a logic editor will be available to players so that they can create different types of game rules and experiences. 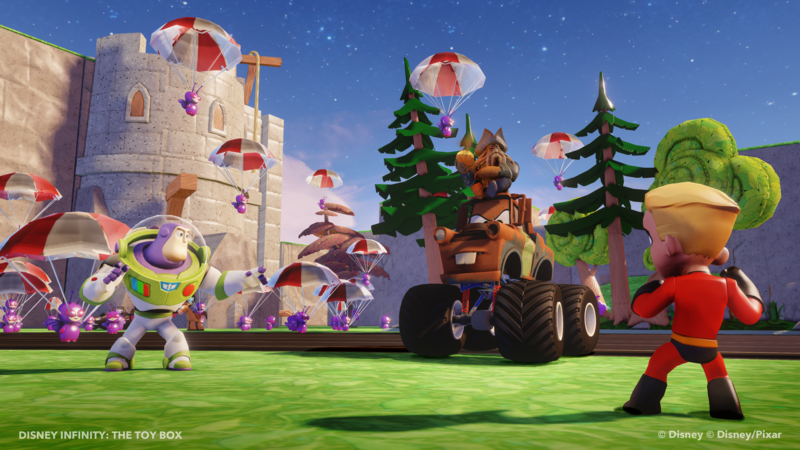 Players can create obstacle courses, capture-the-flag game types, tower defense games, races, and even re-create some classic arcade games as examples of what you can build with their editor. 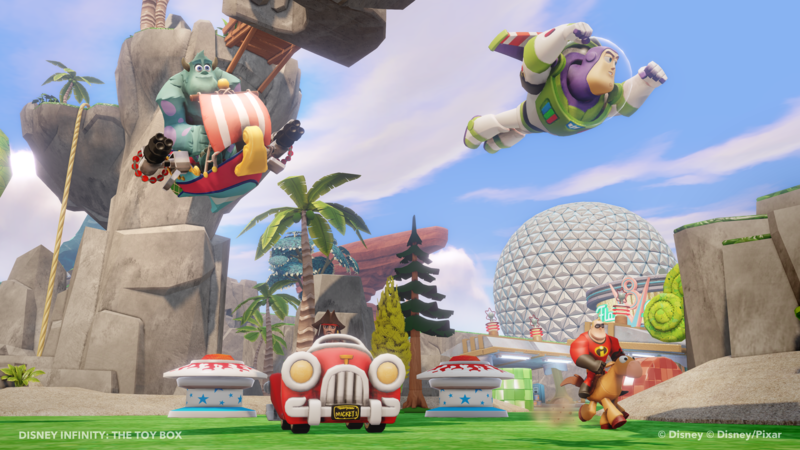 The press release also hints at the existence of Scrooge McDuck’s money pit, a Tron Recognizer, the Dumbo flying elephant ride, and Stitch’s Surfboard as additional items you can encounter in the game. 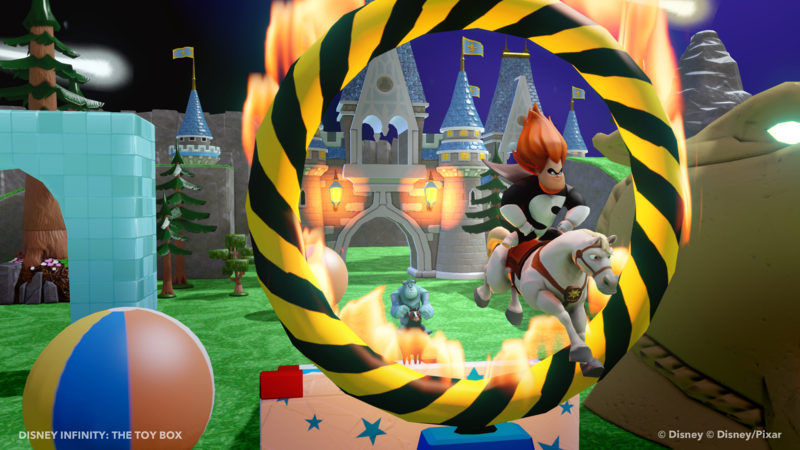 Also, it seems like Cinderella’s Castle is used as a centerpiece for Toy Box mode. 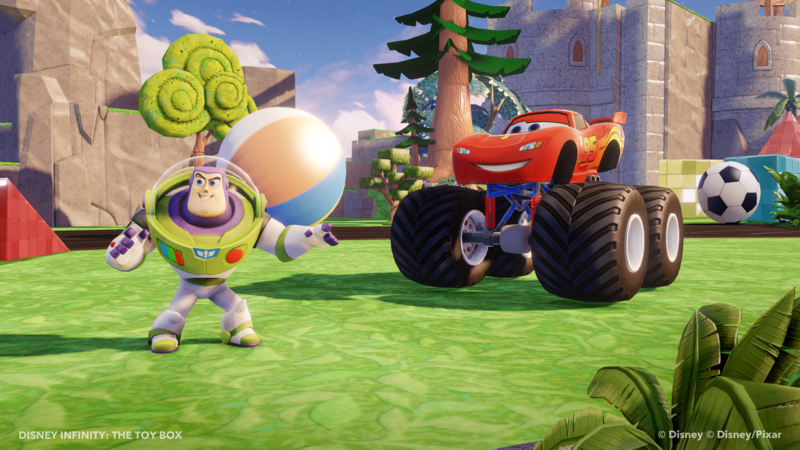 We’ve reached out to Disney to confirm whether or not this is always present in Toy Box mode, but the implications of practically being able to build your own Disneyland seems both endearing and charming. 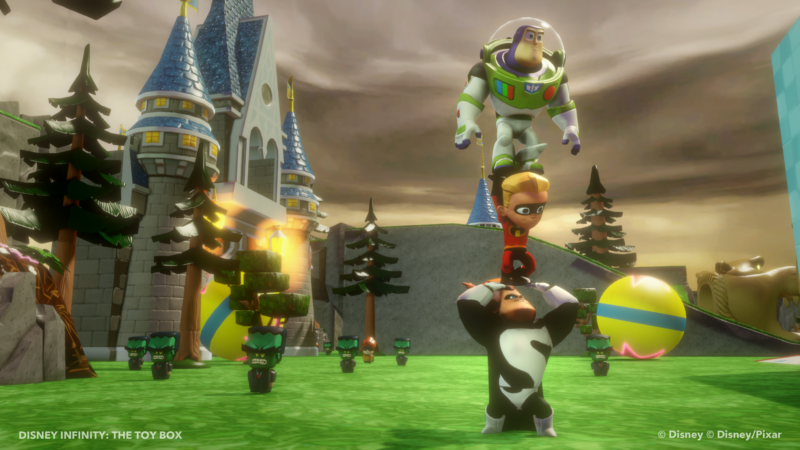 I find this interesting, given that Disney Infinity was inspired by Toy Story 3’s Toy Box mode and having a Toy Box mode for the specific purpose of being able to create new experiences seems like it’s going to be a fun thing to do with a bunch of people. As the self-proclaimed Disney fan of the group, I’ve never really been into the whole pin trading or Vinylmation collecting that Disney’s got everyone into. But seeing this whole game come together over the past few months has made me really excited about the novelty of being able to add new Play Sets and characters into my base set. 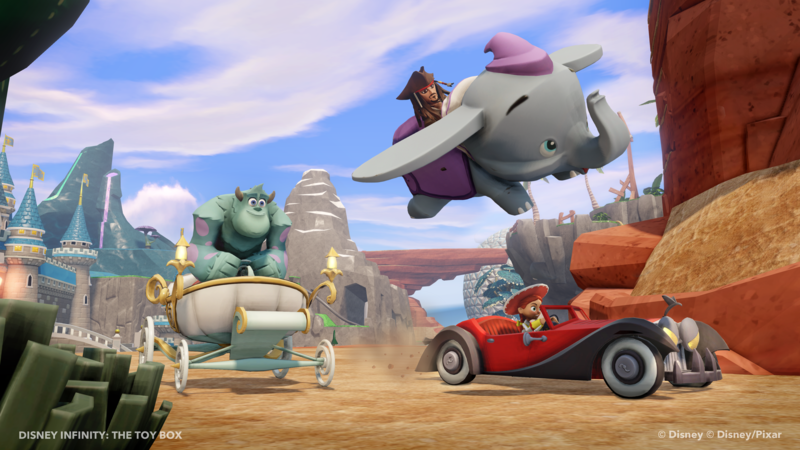 Disney Infinity is scheduled to be released this August on Xbox 360 and PlayStation 3.